The snow forecast for Hochkönig is: Mild with light rain (total 3.0mm) on Fri afternoon Becoming colder with a light covering of snow, mostly falling on Fri night. Freeze-thaw conditions (max 10°C on Thu afternoon, min -4°C on Fri night). Mainly fresh winds. 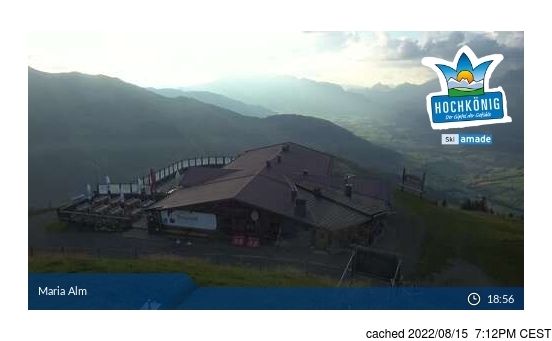 Hochkönig Weather (Next 3 days): The snow forecast for Hochkönig is: Mild with light rain (total 3.0mm) on Fri afternoon Becoming colder with a light covering of snow, mostly falling on Fri night. Freeze-thaw conditions (max 10°C on Thu afternoon, min -4°C on Fri night). Mainly fresh winds. Hochkönig Weather (Days 4-6): A heavy fall of snow, heaviest during Mon morning. Temperatures will be below freezing (max 0°C on Tue morning, min -4°C on Sat night). Wind will be generally light. A heavy fall of snow, heaviest during Mon morning. Temperatures will be below freezing (max 0°C on Tue morning, min -4°C on Sat night). Wind will be generally light. Mild with light rain (total 3.0mm) on Fri afternoon Becoming colder with a light covering of snow, mostly falling on Fri night. Freeze-thaw conditions (max 10°C on Thu afternoon, min -4°C on Fri night). Mainly fresh winds. The above table gives the weather forecast for Hochkönig at the specific elevation of 1999 m. Our sophisticated weather models allow us to provide snow forecasts for the top, middle and bottom ski stations of Hochkönig. To access the weather forecasts for the other elevations, use the tab navigation above the table. For a wider view of the weather, check out the Weather Map of Austria. Resort name is also written as Hochkonig. in or near Dienten am Hochkönig? We stayed in Muhlbach am Hochkonig and loved it. No queues whatsoever, great lift system, fantastic food and great value for money in Alms. The scenery is fantastic - you get a view of the Hochkonig range from wherever you are. A great resort for intermediate skiers; lots of long challenging red runs, and also there was plenty of off-piste skiing to be had! We loved the village of Muhlbach; very friendly people and a lovely village atmosphere. We will be back next year! The Hochkönig skiing weather widget below is available to embed on external websites free of charge. 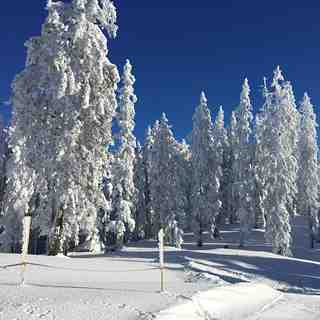 It provides a daily summary of our Hochkönig snow forecast and current weather conditions. Simply go to the feed configuration page and follow the 3 simple steps to grab the custom html code snippet and paste it into your own site. You can choose the snow forecast elevation (summit, mid-mountain or bottom lift) and metric/imperial units for the snow forecast feed to suit your own website…. Click here to get the code.